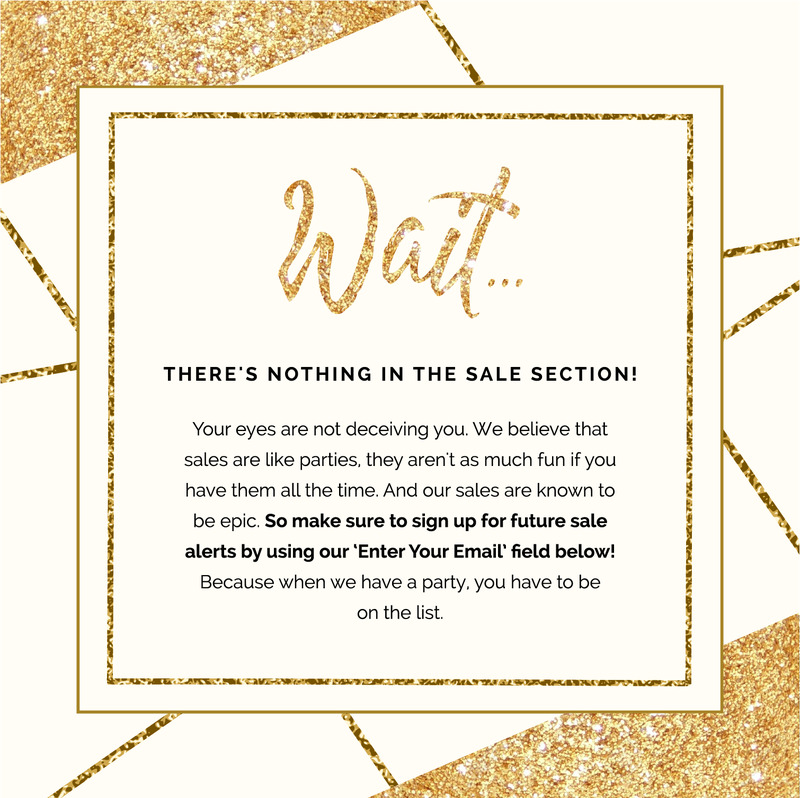 there's nothing in the sale section! Your eyes are not deceiving you. 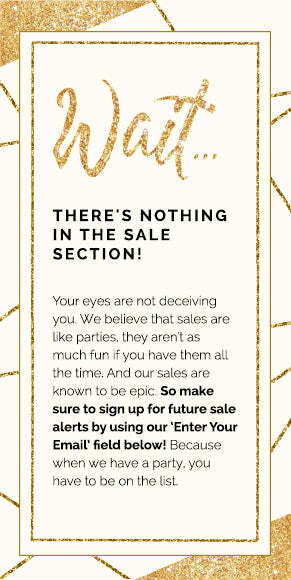 We believe that sales are like parties, they aren't as much fun if you have them all the time. And our sales are known to be epic. 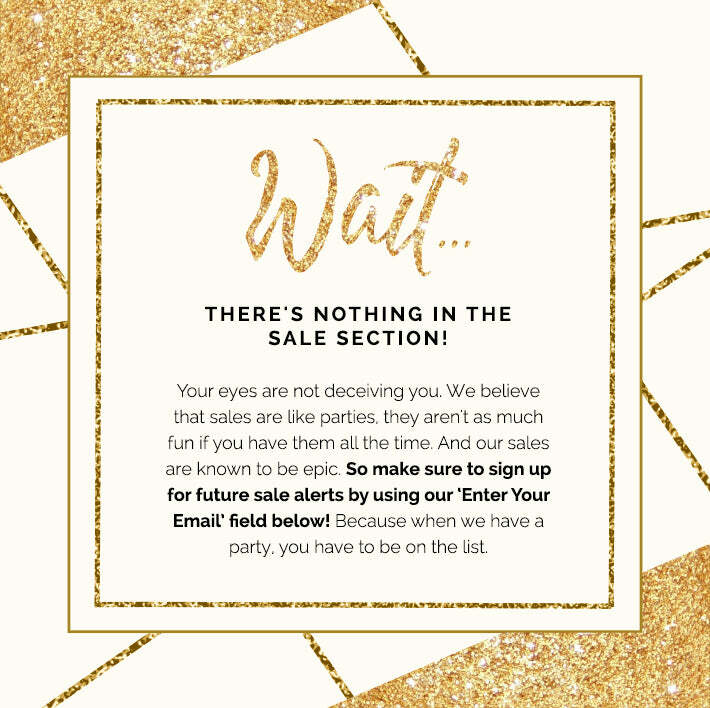 So make sure to sign up for future sale alerts by using our 'Enter Your Email' field below! Because when we have a party, you have to be on the list.